As you know, I made a sourdough starter a couple of weeks ago. In efforts to keep it alive, I'm attempting to bake something with it each week. 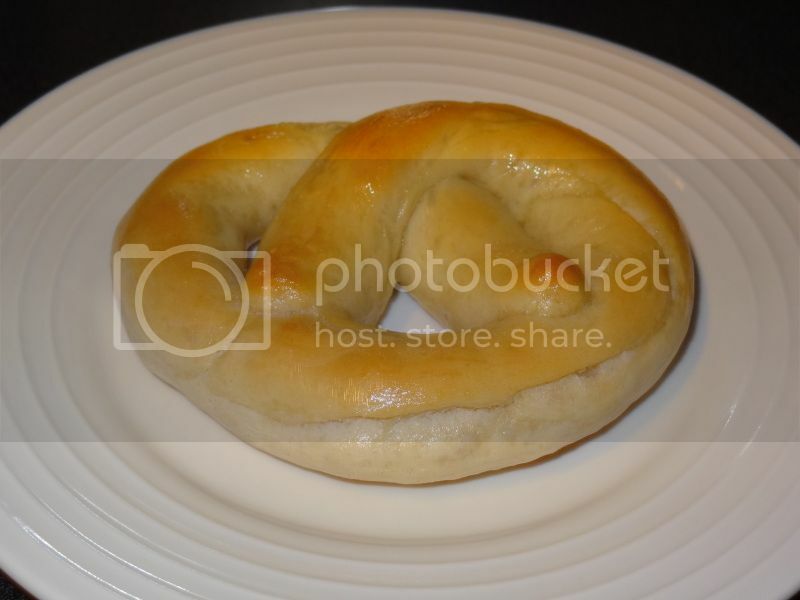 Ever since an unsuccessful pretzel last attempt last month where I essentially made pretzel-shaped bagels, I had been looking for a recipe without the boiling step. 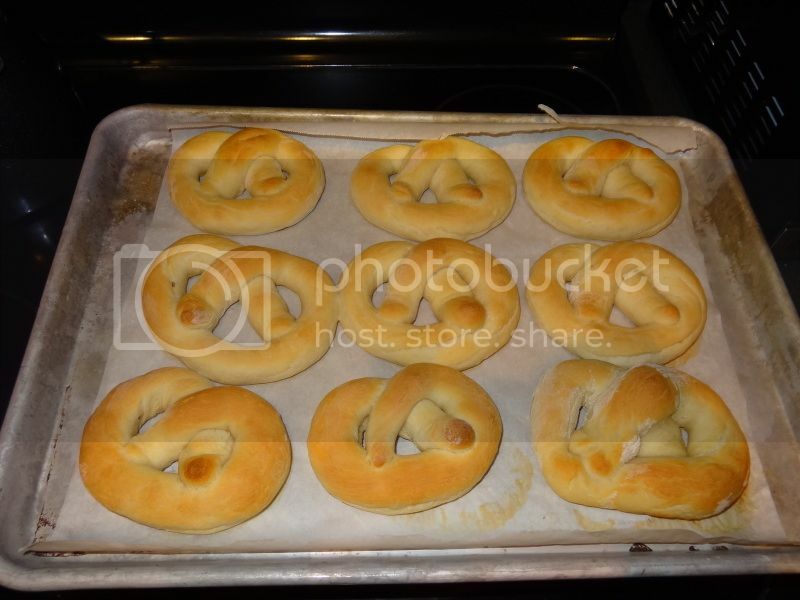 (Disclaimer: My goal is to make pretzels similar to Auntie Anne's which I usually order plain with a dipping sauce or sometimes with Parmesan cheese. Thus, I'm not necessarily aiming for traditional pretzels,). This recipe from King Arthur Flour fits the bill fairly closely, at least in terms of texture. The sourdough flavor is quite noticeable (and yummy). Even though I started making them after 10 p.m. on Saturday night, which meant they weren't finished until nearly 1 a.m., both my husband and I had more than one. The King Arthur recipe calls for non-diastic malt powder which is described as a secret bagel ingredient and aids a nice crust. 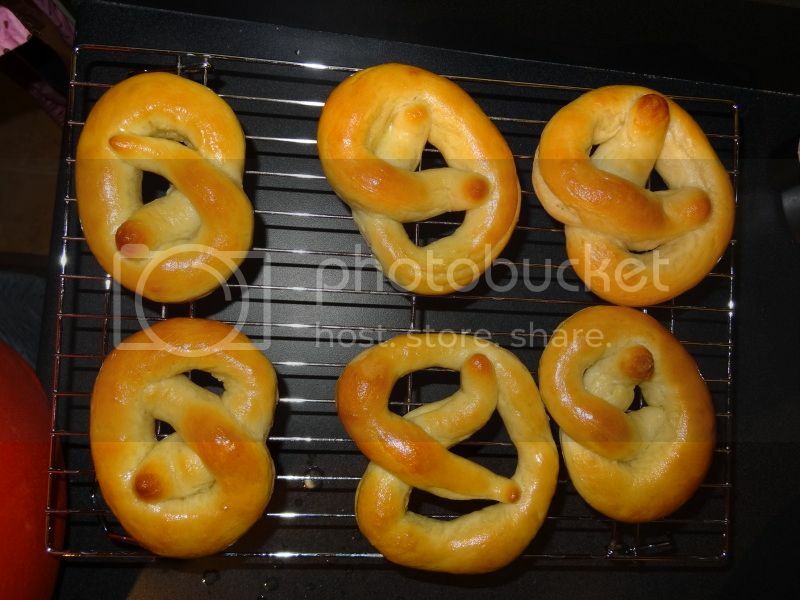 I didn't have this ingredient so I brushed the pretzels with water before baking, just as I do for my sourdough loaves. While it did the trick, I am anxious to order some of this special malt powder to try it out. Add dough ingredients in order listed into your breadmaker. Set to "dough" cycle. Divide dough into 12 pieces. Roll on a floured surface into 18" logs. Shape into pretzels. Brush with pre-bake topping. (I just used water).